Do you remember ER? I mean, statistically most of you should have some memory of it at least, because it was on for approximately forever. In case you don’t though, it was a show about a bunch of implausible attractive doctors having soap operatic life problems in and around the emergency trauma center at a fictional hospital. Most of them were doctors or nurses, and the rest were administrators or loved ones. A real workplace soap. Meet Chicago Fire. He’s ER’s less interesting younger brother, here now that ER has gone up to the great syndication in the sky to capitalize on your mild attention and desire to see something interesting-ish while you drink a box of wine on Wednesday nights and try to forget your crappy job for a while. Oh, that’s just me? Awesome. Anyway, this is all just a way to explain that Chicago Fire, though staffed by young and extremely attractive people, is boring as all get out. I mean it. Sure, you have Jesse Spencer, Tyler Kinney, Lauren German, and Eamonn Walker, but you also have no interesting or original storylines, and a general feeling of apathy. There’s nothing here we haven’t seen before. 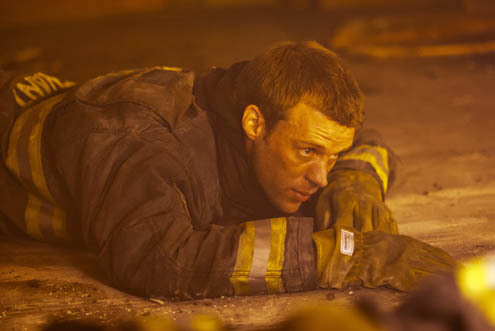 Just to get everyone up to speed, Chicago Fire is a new hour-long drama for NBC. 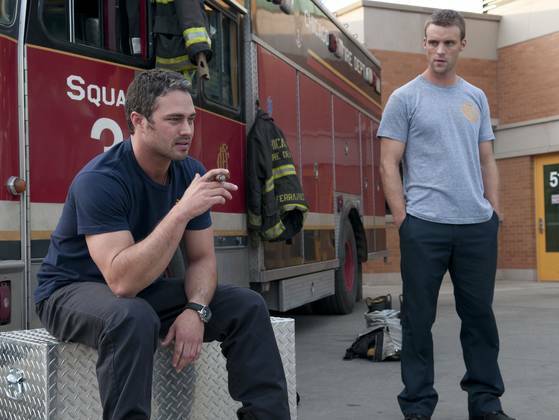 It’s centered around two young firefighters: Lieutenants Casey and Severide. They don’t like each other, because they’re both suffering under the guilt of a colleague’s death. I think. I don’t know, this show was inordinately hard to pay attention to. 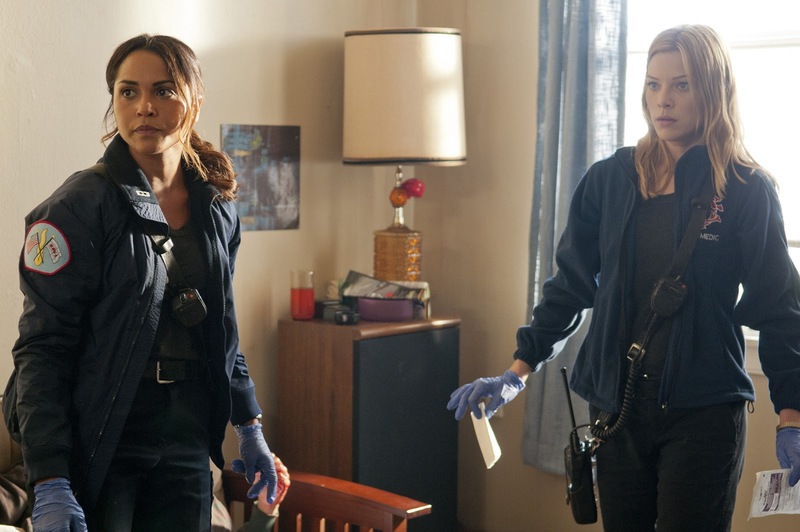 So Casey and Severide argue, there are some fires, other people show up and also fight the fires, there are some paramedics who do something medical and get in trouble—the whole thing felt very half-assed. Where was the drama, people? I mean, we have firefighters out there risking their lives, and you can’t make me manage to catch more than half the plot? For starters, there were too many individual fires, and too many specific characters for me to have any idea what was going on. But more than that, it just felt like the show wasn’t trying. Both of the protagonists are young white male stars with a chip on their shoulders, and strong feelings about how to run a team. Their boss is played by Eamonn Walker, who once again fits into the “wise black man” stereotype. He’s there to dispense wisdom and tell them that they’re going too far, but he never actually does anything. He’s just there to make sort-of-profound statements and speeches. The real cake-taker, though, was the female characters. There are only two women on the show who aren’t wives or girlfriends (or mothers), and both of those women are paramedics. Now, this isn’t a problem in and of itself. I have met paramedics, in fact one of my college roommates became an EMT. But I find it objectionable that the only two female characters on the whole show aren’t involved in the “manly” firefighting, they’re relegated to a job that, while dangerous, is more feminine. The caring job. This just strikes me as silly, because it needlessly perpetuates gender stereotypes. Women can be firefighters, and there are lots of male EMTs. It’s simplistic and annoying to insist otherwise. Overall, I think it comes down to a lack of effort. NBC wanted a show to follow Law and Order: SVU on Wednesday nights, and it didn’t bother to insist that the show be groundbreaking, or even interesting. 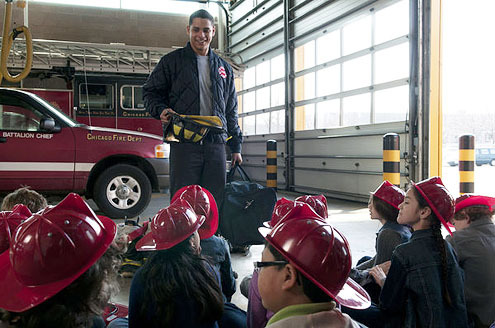 So, yeah, Chicago Fire is okay. But that’s all it is. Just okay. Chicago Fire airs on Wednesdays at 10pm on NBC.